This is the Intermediate version of our Joomla Learning Management System. 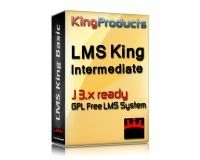 The Joomla LMS King Intermediate Learning Management System has been designed to give you the tools you need to deliver high quality and effective Joomla! 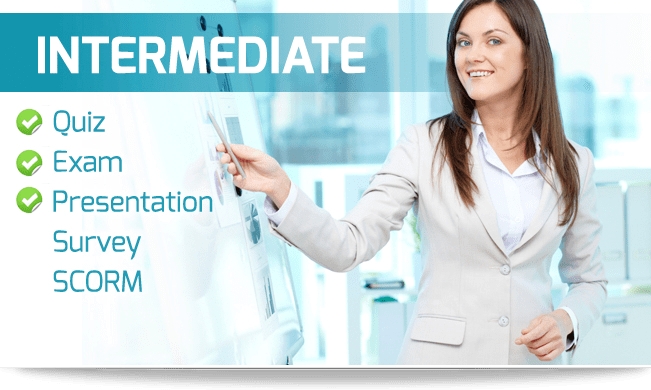 e-learning courses. The Joomla LMS Intermediate version has some key features that allow you to deliver great courses, and accredit them, with ease of use in mind. Just like the Professional version, there are no complicated menus or systems to work through. Everything is delivered via an easy to use Wizard, which gives you step-by step instructions. It’s simple and it’s quick, so you can get right into helping a team succeed with Joomla!. This takes away time-wasting hurdles, and leaves you with a system you can pick up and run with. With other systems there's ‘a lot to learn’. With the Joomla LMS King Intermediate, we prefer to let you just get on and do what you need to do. The Intermediate version includes the popular ‘My Certification Paths’ module, which allows students to see a clear path towards certification, and makes course completion easier and more enjoyable. This also takes away the need to develop your own material around certification paths. It's all provided for you in this Joomla online training module, and works seamlessly alongside student progress. The powerful Media Manager component is also included in the Intermediate version. No more messing around with uploads and categorizing of content. Let your media run smoothly with an automated approach. Essentially ‘point and click’, you can use media without having to worry about quality, delivery or compatibility. It's one less thing to slow you down when it comes to course delivery.